In 2009 Zubrzycki came across the traces of a real rarity – the keyboard-bowed instrument designed by Leonardo da Vinci, but which had almost been unknown and forgotten. Fascinated by the facts from the past, in the years 2009 – 2012 Zubrzycki created his own version of Leonardo da Vinci’s design, drawing also on other instruments from 1575 – 1625. He brought to life an instrument with a unique sound and ready to concert. 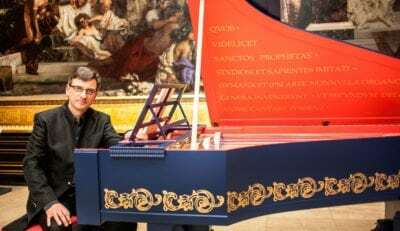 The premiere recitals of viola organista (on 18 October 2013 in Cracow, during the International Royal Cracow Piano Festival, and on 21 October at Conrad Festival) were a spectacular artistic success and received a lot of publicity in the media. The video report from the viola’s first concert has been watched by more than 3 million people on YouTube. The news about the construction of viola organista was presented by the most popular media all over the world, including BBC, The Telegraph, France 24, Deutsche Radio Kultur, Corriere della Sera, MSN, Oman Daily Observer, Hindustan Times, Taipei Times. His European tours in 2014-2017 (over 50 recitals in 17 countries) included recitals at Stockholm Early Music Festival, Mänttä Music Festival, Wratislavia Cantans, Ghent Festival of Flanders, Kotor Art Festival, Polish Music Days in Turkey, Ohrid Summer Festival, Milano Classica, Gaudete! Festival Internazionale di Musica Antica in Vercelli, Bucharest Early Music Festival, Summer Festival of Early Music in Prague, Kristupo festivaliai in Vilnius, Copernicus Festival, Polish Music Festival in Cracow, European Renaissance Festival Clos Lucé in Amboise, Les Nuits de Septembre in Liege and others. In 2015 two albums of viola organista were released. Solo album, “Viola organista – The da Vinci sound” is unique in many ways: it is not only the first-ever recording of “da Vinci’s instrument” recital, but also the first Polish music project funded by music lovers from all over the world by a global crowdfunding platform, Kickstarter. The album contains eight Baroque works (including the only work composed for the keyboard-bow instrument, Sonata for Bogenklavier by C. Ph. E. Bach) and, as a bonus, the music by the Leonardo da Vinci – who placed his music work on the painting “Portrait of a musician”. To the second production Zubrzycki was invited by Icelandic singer Bjork, who released an acoustic version of her latest album “Vulnicura”, for voice, viola organista and string quartet. The album is available in two versions: CD and vinyl. In 1987, he won a Prize at the Polish Piano Art Festival in Słupsk. Sławomir Zubrzycki has been giving concerts both as a soloist – performing with Polish Radio Symphony Orchestra, Cracow Philharmonic Orchestra, Capella Cracoviensis, Toruń Chamber Orchestra, Imperial College London Sinfonietta – and as a chamber musician with Olga Szwajgier’s Quartet (as one of its members), Gwendolyn Bradley, Jadwiga Gadulanka, Andrzej Hiolski, in Poland, Germany, Great Britain, Spain, Ukraine and USA. He has made several recordings for Polskie Nagrania (Polish recording company), Polish Radio and Television. As a presenter, composer and musical director he has collaborated with Polish Televison on production of educational programs, such as Wszystko gra (It’s All Music To My Ears – a series of lectures on musical instruments for TVP 1 and TVP Polonia) and Sesame Street (Polish version for TVP 2). He has taken part in several festivals, including: Poznań Spring of Music, Music in Old Cracow, Audio-Art in Cracow, Fest der Kontinente in Berlin, Visiting Artist Series in Berklee College of Music in Boston, The Colours of Poland, Warsaw Cross Culture Festival, Turning Sounds in Cologne and Warsaw, Edinburgh Theatre Festival. 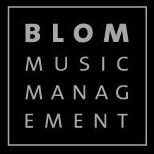 He specializes in performing contemporary music, ranging from dodecaphony to instrumental theatre, improvisation and performance art. He was a lecturer at Summer Academy of Contemporary Music – Avantgarde Tirol in Austria (2005, 2007). He teaches his own piano class at the Frederic Chopin State Secondary Music School in Cracow. His long–lasting interest in the design and construction of musical instruments, apart from the series of television lectures, made him build a replica of Johann Silbermann’s clavichord from 1775. The instrument, which is considered to be the ancestor of the piano, and has its distinctive expressiveness, came into being in Sławomir Zubrzycki’s own workshop in 1994. 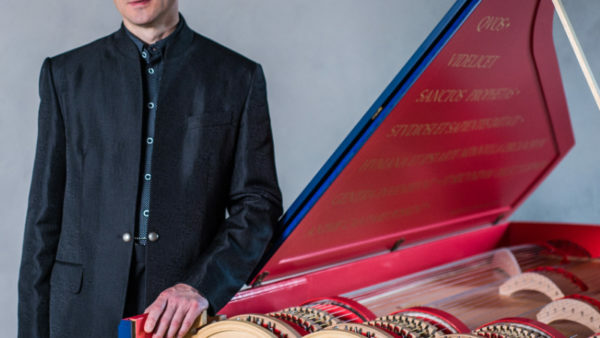 Currently, Zubrzycki’s artistic activity focuses on viola organista. The Artist’s concert plans for next months include several concerts during European early music and classical music festivals.